BRAVE Magazine presents an exclusive interview with Top Model and now designer of his own clothing line River Viiperi. Take a look! 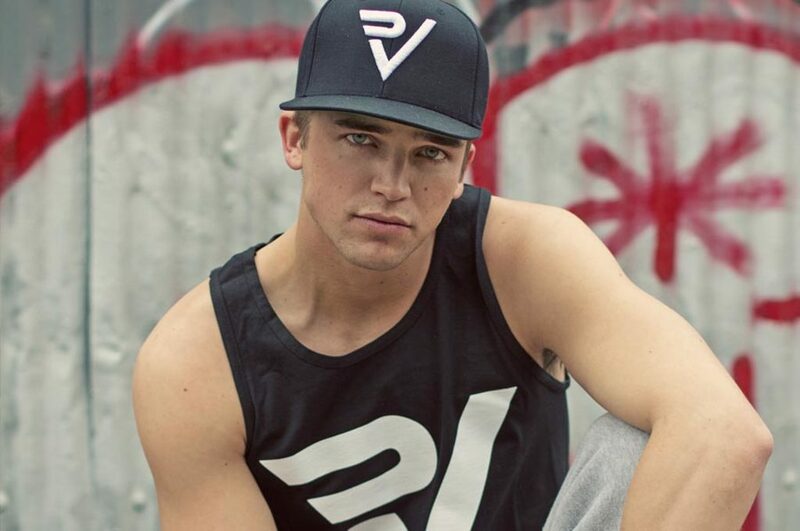 Famed Model and Clothing Designer, River Viiperi shared bits of his journey as a model, and being the now boyfriend of Global YMCMB Pop star, Paris Hilton. Only 22, and signed to one of the most prestigious modeling agencies in the world, the Soul Artist Management talent is currently leading the pack his way, and doesn’t plan on slowing up anytime soon. BRAVE: River I learned that you were born in Ibiza, Spain? What was life like growing up in such a culturally diverse city? RV: Yes, I was Born in Ibiza; Spain. As a Child I used to travel a lot because of my Parents so I didn’t grow up there I grew up between Finland and Madrid to mention a couple. BRAVE: On the outside, being a model may look quite easy for some. Taking photos, posing, traveling, staying fit & eating healthy comes to mind quite naturally when you hear the word “model”. Being ranked in the Top 50 range as one of the fashion industry’s most sought out faces, what are some challenges (1 or 2) that you face, and what helps you conquer these challenges? RV: My biggest challenge was my skin, I have sensitive skin so all that make up, shaving, all those products to remove make up etc.. literally would destroy my skin. I tried EVERY product out there for sensitive skin but nothing seemed to help in long term the only thing that did was tanning beds. darker skin less redness and easier to cover up with less make up. Other than that I didn’t really work out or eat healthy maybe that would have helped to (laughs). BRAVE: Most people who are “on the outside looking in” have their opinion(s) on the fashion & entertainment industry. What is one stigma that you personally believe is true, and why do you feel this way? RV: Yes, apparently everyone likes to talk about things they don’t understand. My opinion is it’s a very FAKE industry, and I don’t deal very well with that I’m always very straight forward I do what I want not what I’m told. sometimes it helps me sometimes it doesn’t but when people get to know me and understand how I am they love it. BRAVE: Having worked with the popular designers like Versace and Dolce & Gabanna what have you learned about fashion that most would’ve not guessed? RV: Hmmm.. Interesting question, I don’t really think the fashion world is that complicated at all, what you see is what there is. BRAVE: What do you like to do in your spare time? RV: I’m starting my own Clothing Line, so my free time now consists in doing research about the business side of the Industry, designing, research of fabrics, screen printing, etc. apart from this I also love watching movies, playing with my dog, spending time with my friends and anything related to having fun. BRAVE: Who’s your favorite designer? BRAVE: Is it a challenge dating Paris Hilton? RV: Dating her is not the challenge, the challenge is being able to go and have a romantic lunch/dinner with her. People don’t respect anything at all these days they will interrupt our lunch/Dinner or any other time I’m trying to enjoy with her to ask for a picture, shake her hand, say hello. that’s the challenge. BRAVE: What are three style/grooming tips you can give our guy readers for next year? BRAVE: What one rule you always when it comes to your personal style? RV: Feel confident and comfortable, no matter if you’re wearing a suit or jeans and a t-shirt. always try to match what you’re wearing. shoes with the belt, shoes with the hat, shoes with the T-shirt there are a lot of ways to combine the looks and look good. BRAVE: Who or what motivates you daily? RV: My dreams motivate me, people Inspire me. BRAVE: What is a secret hygienic product that you use that you would recommend to other men? RV: St. Ives facial scrubs, very good and very gentle. BRAVE: What Makes You BRAVE? RV: Looking back and seeing what I have accomplished in such a short time and most importantly following my instincts and not forgetting where I come from and where I want to get, still a very long way ahead of me. Insanely gorgeous!!! A true God!! !